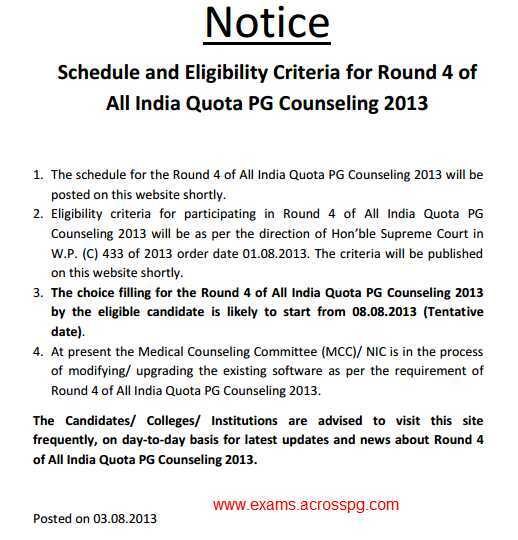 NEET PG 4th Counselling confirmed, final schedule to publish soon - AcrossPG Exams! The tentative date for starting counselling is 8th Aug. Final date and schedule will be published soon. So keep visiting MCC website. The eligibility criteria will be out soon.